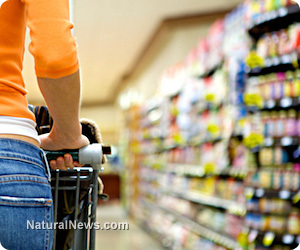 (NaturalNews) Consumers today are more and more attracted by labels noting "all-natural" or "organic" products. There is a good chance that this attraction translates over to big meals like Thanksgiving. So, should you purchase an all-natural turkey for your family gathering this year? A survey by the law firm Labaton Sucharow found that, of 1,000 American participants, only half of them believed that "all-natural" labeled products are better than those not labeled as such. Almost 75 percent of the participants stated that they would not purchase food labeled as "all-natural" from companies that have mislead or lied about their products. Unfortunately, dishonesty in big name companies about the naturalness of their products is not as uncommon as consumers would hope. The United States Department of Agriculture (USDA) has guidelines for labeling, but there are loopholes. For example, to qualify as having "free range" poultry, the chickens or turkeys must have been allowed access to the outside. That sounds good in theory, but it is possible to keep your bird in a dark warehouse and open a door that leads to a patch of grass only once, and the bird will qualify as "free range." Furthermore, the Food Safety and Inspection Service (FSIS) of the USDA also states that "all-natural" labeled products must not contain artificial ingredients or added coloring, and it must be only minimally processed. The "all-natural" label clearly is more appealing to consumers than the label of "free range." However, this raises questions about other types of labels for your turkey. Turkeys labeled as "fresh" must not be cooled to a lower temperature than 26 degrees Fahrenheit, a temperature that allows for maximum suppression of bacterial growth while still maintaining the meat's integrity. Labels that just say "natural" are virtually meaningless because the definition of a "minimally-processed turkey" is so loose. "USDA organic" means the turkey is regulated by the government and must be 95 percent or more organic. This also means it needs to have been fed organic feed. Ben enjoys writing about the benefits of green tea at Tendig.com, a revenue sharing site that publishes unique and interesting articles.